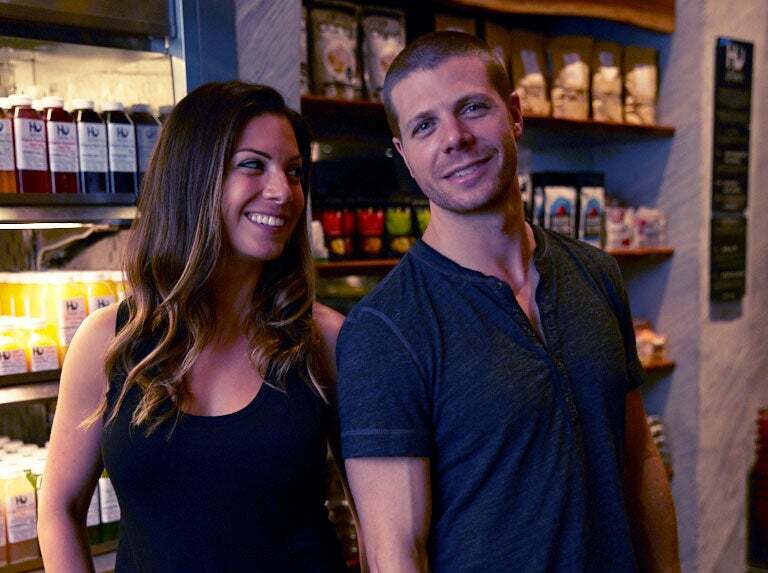 Entrepreneurs usually set out to create businesses without limits, but for Jordan Brown, his sister Jessica Karp and brother-in-law Jason Karp, their business succeeded strictly because of them. As the trio learned more about wellness and healthy eating, they placed more restrictions — the Hu founders call them "guardrails" — on their diets. The two men would alter their eating habits as they read books and learned new things, such as cutting out gluten or adapting the paleo diet. "I was hooked on this concept of little tweaks in diet to change things quickly versus going to a doctor and taking a pill and seeing how long it takes," Brown said. "Underlying that is the notion that food can heal. So we launched this brand called Hu with the notion of getting back to human with better ingredients." The food industry newcomers opened Hu Kitchen in New York City in 2012, setting strict ingredient parameters in the food they served. "Maintaining our standards is always a challenge, because we’re so meticulous about it," Jessica Karp said. "Our entire ethos is using simple and delicious ingredients and never compromising on our guardrails. It’s a big part of our business, but it’s a lot of work." Meanwhile, the company sought a manufacturer to produce a chocolate that adhered to its restrictions, and used it both in its baked goods and sold it in bar form. The gluten, dairy and sugar-free chocolate (vegan and paleo) proved to be a hit, and the entrepreneurs successfully pitched Whole Foods to stock it in its New York City stores. Now, Hu’s chocolate bars, of which there are eight flavors, can be found in 3,000 stores, including Whole Foods nationwide. The top seller is its Cashew Butter + Vanilla Bean chocolate bar. Its other products are chocolate covered nuts or berries, coffee and, most recently, crackers. Hu closed a series A round in May, with investors including Krave Jerky founder Jon Sebastiani and Tim Ferriss. But until that point, Hu’s founders — both Karps have finance backgrounds and Brown worked in real estate — insisted on self-funding Hu. "We didn’t want to be in a position where, as we were trying to grow and establish the brand, somebody would come out and say, ‘Well you can cut corners here with the ingredients,’" Karp said. "We did not take outside money until our brand was strongly established, and we knew we wouldn’t really get pushback. People love our brand for our guardrails and for how meticulous we are, and we didn’t want to have to change that."